Produce creative motion picture for the affection for organ donation register! 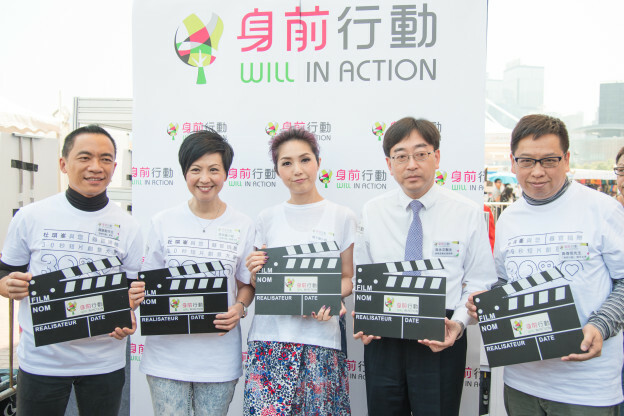 Will In Action launched the first video-making competition with the theme of promoting organ donation, namely Johnnie To with You “30 Sec Creative Video-making Contest of Organ Donation”. The award ceremony was held successfully on 22 August 2015 at LePinacle, Sai Wan. A number of good videos were collected. Through the programme, we hope to significantly boost up the number of registered organ donors. Our target is to raise the registered number from 2% to 3% in one year! The competition consists of three categories -“Student”, “Open” and “Professional”, offering different levels of challenge for participants. The champion of each category was not only awarded a cash prize and gifts valued up to over HK$20,000, but also granted an opportunity to enjoy a special lunch with Mr Johnnie To. In addition, those who passed the first round assessment of the “Professional Category” would be able to enjoy an one-hour filming session with a designated artiste arranged by Will In Action. Welcome to view the ceremony highlights here (Kick-off Ceremony; Award Ceremony). Please click here for the winner list. For the other details, please refer to our Facebook fan page.